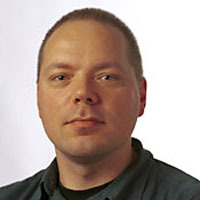 Ad Feelders is assistant professor at Utrecht University, Department of Information and Computing Sciences, since January 2001. He has worked as a consultant for a data mining company, where he was in charge of projects for banking and insurance firms. Before coming to Utrecht he was an assistant professor at the department of Economics of Tilburg University in The Netherlands. His research focusses on data mining and machine learning, with a special emphasis on learning with monotonicity constraints. Feelders, A. A Decomposition of the Isotonic Regression, Technical Report UU-CS-2010-009, Institute for Information and Computing Sciences, Universiteit Utrecht, 2010. Feelders, A., Velikova, M. & Daniels, H. Two polynomial algorithms for relabeling non-monotone data, Technical Report UU-CS-2006-046, Universiteit Utrecht, 2006.